This story was updated on M​ay 14, 2018 to reflect a name correction. The two 9th-grade girls heard the laughing the minute they walked into their third-period class that December morning at Oakland’s Fremont High School. And they knew why: a video of one of the girls being slapped by a classmate had gone viral among students on social media. It was one of those moments that could have gone bad in a hurry — like so many others had at Fremont High, a school that had more suspensions last year than any other in the Oakland Unified School District. Both girls (whose names are being withheld to protect their privacy) acknowledged later that their first instinct was to lash out at their snickering classmates. But they didn’t do that. Instead, they left the classroom and walked down the hall to Tatiana Chaterji’s room. 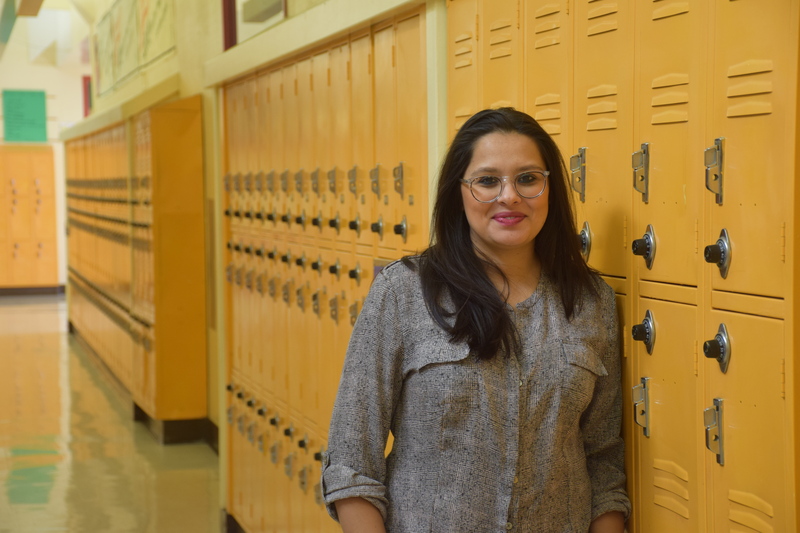 Chaterji is Fremont High’s restorative justice facilitator and among a growing number of educators in Oakland Unified charged with changing the district’s approach to behavioral issues through restorative practices. This work departs from traditional school discipline in that it focuses less on punishment and more on righting wrongs and building healthy relationships within the school. This story is the first of a three-part series on restorative justice in California. During the previous period, the two girls had participated in a community building circle, a cornerstone of restorative justice in which students gather in a circle, talk about the difficulties of their daily lives and work on responding to them in a healthier way. “What would have happened had you stayed (in the classroom)?” Chaterji asked the girls after they had told her their story. “They would have said some things, then I would have said some things…then things could have gotten ugly,” said the more assertive of the two, who was wearing an ankle monitor from the Alameda County Juvenile Probation Department. Had things gotten out of hand, punches might have been thrown. That would’ve led to an office referral and perhaps suspensions. Such an outcome would be an unfortunate but not uncommon occurrence at Fremont, which, according to district data, suspended 151 students during the 2016-17 school year. Tatiana Chaterji, the restorative justice facilitator at Fremont High School in the Oakland Unified School District. Fremont High hired Chaterji last summer as part of a larger effort to improve the school’s climate and cut down on suspensions. The school also employs three case managers who work to alleviate conflicts that crop up in classrooms before they become office referrals. Small victories like the one that morning at Fremont High are being won to varying degrees in schools throughout California. Over the past decade, a mountain of research has shown that the so-called zero-tolerance approach to misbehavior, characterized by stringent rules and harsh punishments, largely doesn’t work. In particular, studies have shown unequivocally that students of color are suspended and expelled at disproportionately higher rates than their white peers, which has forced a reassessment of school discipline in many places throughout the nation. 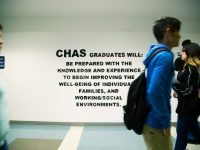 This awakening, along with intense pressure on districts from the state in recent years to cut down on suspensions, have spawned a number of behavioral support programs under the umbrella of social/emotional learning, including Positive Behavioral Intervention and Supports (PBIS) and Multi-Tiered Systems of Support (MTSS). Interwoven in these approaches is the idea of restorative justice, which has both captured the imagination of many youth advocates and educators and generated controversy. Oakland Unified budgeted roughly $2.5 million for restorative justice in the 2017-18 school year, which pays for 35 facilitators and a districtwide coordinator. The Los Angeles Unified School District budgets more than $10 million annually for restorative justice and has a goal of implementing the practices in each of its more than 900 schools by 2020. Following the lead of Los Angeles Unified, the San Diego Unified School District board last year approved a “School Climate Bill of Rights” that is centered on restorative practices. The board also approved a nearly $800,000 budget for restorative justice in 2017-18, which pays for a districtwide program manager along with several other staff members. 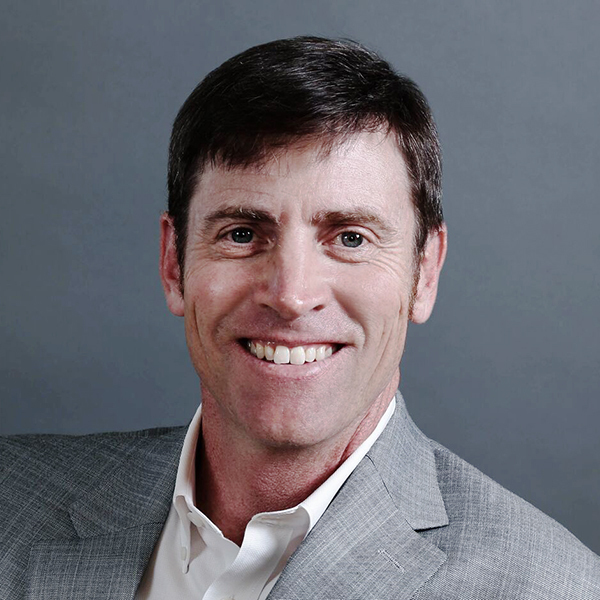 The Santa Ana Unified School District received a multi-year, $3 million federal grant to implement restorative practices in schools throughout the district. Although the terms restorative justice and restorative practices were largely unheard of in the school setting as recently as a decade ago, the work in many respects builds on conflict mediation strategies that schools have used since the 1990s. Yet many see restorative justice as groundbreaking because at its core is a repudiation of the punitive model that has been the foundation of school discipline in this country since the days of the one-room schoolhouse. 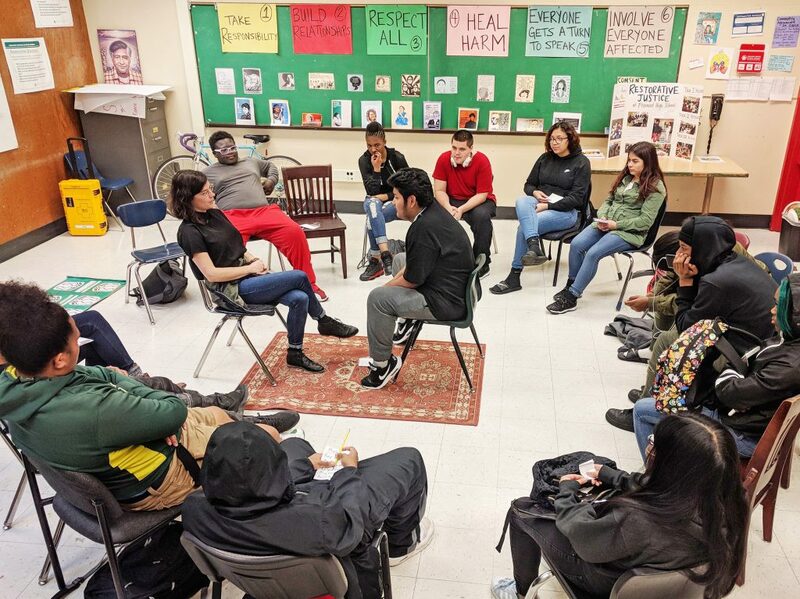 A community building circle in Tatiana Chaterji’s classroom at Fremont High School in the Oakland Unified School District. Because their use in the school setting is so new, there is scant research on the long-term effectiveness of restorative practices. But officials in districts that have devoted significant resources to them say they’ve led directly to fewer suspensions and better school climates. 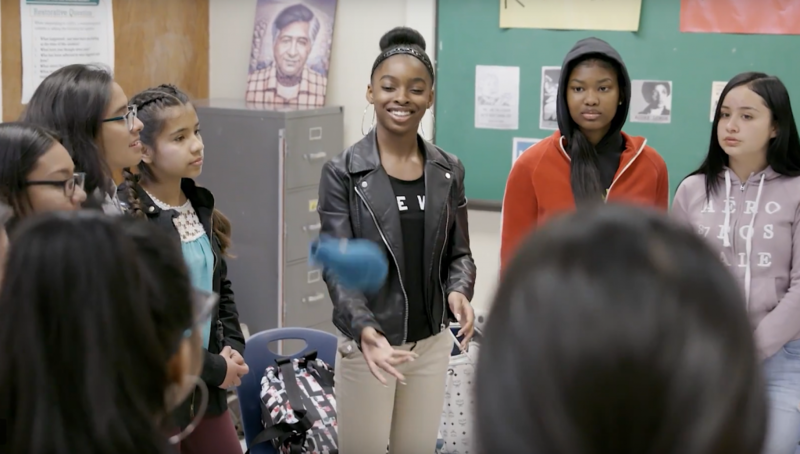 “We have seen a drastic reduction in suspensions and RJ (a commonly used shorthand for the practices) is a big reason for it,” said Deborah Brandy, Los Angeles Unified’s director of district operations, which oversees restorative justice programs. While awareness of restorative practices is high among school officials statewide, relatively few districts outside major urban centers have well-established programs, EdSource found through interviews and a survey. The most common sentiment expressed among nearly a dozen superintendents, principals and other officials interviewed was cautious optimism, with the caveat that finding resources to devote to it is a challenge. While it is difficult to find anyone — administrators, teachers, students or parents — who disagrees with the core principles of restorative justice, a fair number of critics say it’s been oversold as a quick fix. And, in some instances, they say it’s contributed to more chaotic school environments. Los Angeles Unified’s efforts have drawn criticism from some teachers’ union officials who say the district has launched an aggressive implementation plan without sufficiently taking into account how the timetable is affecting students and teachers at the ground level. Belia Saavedra, director of restorative justice in schools for the Long Beach-based California Conference for Equality and Justice (CCEJ), said most teachers she works with embrace restorative justice — but she has encountered pockets of resistance in both Long Beach and Los Angeles schools. LA Unified’s Brandy does not dispute the reports of pushback, but says the concerns fade once teachers and administrators see the district’s commitment to the approach. 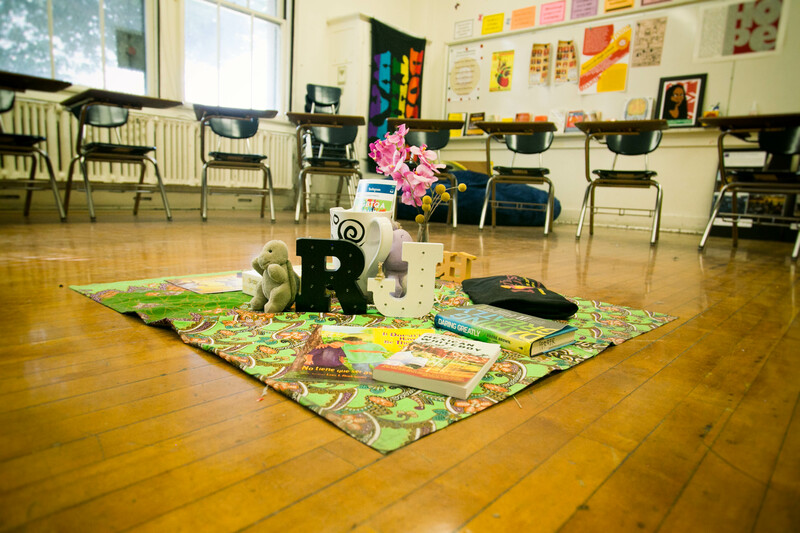 The restorative justice room at Roosevelt High School in the Los Angeles Unified School District. Brandy’s assertions notwithstanding, the issues being raised are real and indicative of the pendulum swinging too quickly away from traditional discipline, argues Max Eden, a senior fellow specializing in education policy for the Manhattan Institute, a conservative think tank based in New York City. Eden says his research shows that students report feeling less safe when districts issue mandates to reduce suspensions and in their place offer alternatives like restorative justice and PBIS. Daniel Losen, who is director of UCLA’s Center for Civil Rights Remedies, takes issue with Eden’s arguments on a couple of levels. First, Losen said Eden is cherry-picking indicators to make schools seem more unsafe than they actually are. Secondly, he sees in Eden a failure to acknowledge that there is strong evidence showing that suspensions and other isolating punishments are harmful to students, especially students of color. It is because of disagreements like the one between Eden and Losen that Sonia Llamas, Santa Ana Unified’s assistant superintendent for school performance and culture, spends a lot of her time documenting her district’s success with restorative practices and showing how they help its bottom line. Five years ago, Santa Ana Unified had nearly 9,800 days of suspensions, Llamas said, which cost the district about $680,000 because state funding is calculated based on average daily enrollment. Since then, thanks to a grant from the federal Department of Education, the district has invested more than $3 million in restorative justice and related programs and seen its suspensions drop by 75 percent. That being said, Llamas and other proponents emphasize that transforming a school’s climate and culture often happens in fits and starts and requires commitment and patience from schools and communities. John Jones III recently moved to Oakland from Portland and his son, a 9th-grader at Fremont High, has had trouble adjusting to his new school. Jones, who works for a community group as a restorative justice facilitator, said the school’s handling of altercations his son had with a teacher showed the progress Fremont has made as well as how far it still has to go. While they acknowledge their progress has not gone in a straight line, the staff at Fremont High feel they are slowly getting on the same page. The school is on track to cut suspensions in half from last year, said Co-Principal Tom Skjervheim. When asked whether she learns more from being suspended or going through restorative justice when she gets in trouble for fighting, the 9th-grade girl who had sought Chaterji’s counsel after the problems in her third-period class rolled her eyes. “It’s all a waste of time,” she said. But when pressed further, she gave a clear-headed comparison of the two approaches. Yet restorative justice does very little to improve students achievement in the classroom. It does help to keep safe school campus. Students are still attending failing schools. i would like to see some of this money go to reading and writing coaches at all level of schooling. Restorative justice is more about discipline and behavior, does nothing for getting students with basic learning style of reading, math, and writing. Why can’t we have a balance of both in educating the whole child. What you are sayiing is it is okay to be a thug, lets talk about it. My first grade student has a thug in his classroom sitting right next to him. That thug sits there all day throwing things like pencils and water at other students trying to learn which is affecting my child as well as the rest. The teacher says she can do nothing so apparently per you , my child gets to learn nothing while the thug learns nothing as well. I recently relocated from New Jersey where I worked for 14 years as a K-12 teacher in “Art”. My school there had plenty of kids eating free lunches and the mix of minorities was rich. I worked for a Charter in Downtown LA and lasted a total of 3 weeks. The ‘circles’ might seem like a great idea and deserves a try at managing conflict in the classrooms. The one thing I noticed was that the good feelings of the circle sometimes evaporated once the circle broke up one could see a quick return to the behavior that was destructive or disruptive. There is simply no substitute for discipline and if that is simply not a fact in the child’s life I believe their mobility and futures will continue to lag. teacher force that is tasked with improving educational acheivement while effectively having their hands tied with respect to maintaining a viable learning environment for all students. I work in a k-8 in Santa Ana Unified School District and all my teacher friends at my school and many other schools and I agree….it is not working! Why is it that people who are out of the classroom think it works? First of all, all behavior is not equal and each case is different. When we need help dealing with a child, please help and don’t just think making the kids say sorry or have a talking circle will work. The talking circles are not working because you place kids together and expect things will be honestly discussed? The bully or offending student is just snickering. I have been in a few RJ circles, and the kids say what they know will end the process and in the end the issues between kids still continues. The people running the RJ talks are not very well trained and need more time to learn the skill. It is painful to watch the script being read and then see the “mic” passed. Next question is asked and same thing. Don’t get me wrong: I see the value of talking it out, digging into the personal issues and helping kids deal with things in their lives better. But kids also need to see a very clear line with bad behavior and have consequences that matter. We are letting all the little things of behavior pass so the larger behavior problems are increasing and any child on the edge of misbehaving sees nothing is happening to others so they are emboldened to misbehave. It is the classic “broken window” effort that is not happening. Take care of the small things and have expectations that are clear and enforced is a better way. RJ alone is not working! Counseling is increasing in our district but the need is so much more. RJ is a good effort but it needs to be in conjunction with maintaining consequences for inappropriate behavior. Willful defiance and lack of respect are getting out of control and so are fights, bullying, and general lack of respect for others and teachers. Suspensions are down because nothing is done. Principals are directed to bring down the suspension rate so they do but the issues are welling up in the class and learning is lost for the others. The problems stay in the class and it is very disruptive to all the kids who are trying to learn. There has to be a better way and a meeting in the middle of zero tolerance and restorative justice is needed. That is my two cents as a person in the trenches who loves teaching and working with our wonderful kids in Santa Ana. We have good kids who work hard and love school, but we need help with the ones who struggle and make it hard in the classroom. A balance is truly needed. This article was an absolute joy to read. As an Assistant Principal in a large urban district, this brings validity to the work I do everyday. Thank you. As is so often the case, this article fails to distinguish teacher-initiated in-school suspension under CA Ed. Code 48910 from administrator-initiated out-of-school suspension under CA Ed. Code 48900, first sentence. Both share the same list of grounds, CA Ed. Code 48900, Paragraphs (a) through (t). Because the state legislature and local school boards have focused their clumsy reforms on willful disruption and defiance, at CA Ed. Code 48900(k), they have unwittingly made it contrary to state law, local school board policy, and/or the safety of one’s career, for a teacher to send a student to the office during class. Journalists should challenge suspension foes to be honest about whether they are targeting out-of-school suspension, as they claim, or also enjoining in-school suspension, which they don’t readily admit. Restorative justice, if carried out in a serious way, is potentially useful, but teachers need the flexibility to remove students from class at the time of a disruption. I have recently conducted a graduate level research study on the landscape of Restorative Justice in California and in the nation. I can say, with confidence, based on the research I have conducted, that California is making a difference with their restorative justice efforts. My recommendation to those who are not in agreement, please take more time to learn the history of restorative justice, from an indigenous perspective, to fully learn and understand what restorative justice really is. It is much more than just a program, but a holistic way of thinking and to be completely honest, not everyone is ready for this deeper conversation, especially with the racism that exists in many of our schools. As Daniel Losen states above, something drastically needs to change. Suspensions do more harm than good, especially for children of color, whose rights are being violated. 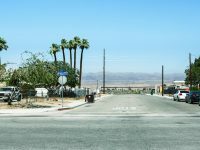 Lets look to California, its successes and failures, as a model for other states to learn from. There is plenty of new, quality research that proves how restorative justice is making a huge impact on the lives of children, families and communities all across the state of California, a state that represents the true diversity of the this country. Hats off to all those who are working hard to incorporative restorative justice as an alternative to traditional punitive school discipline that is not working for todays children! !